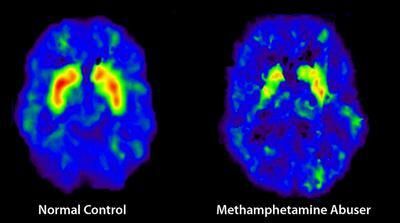 Why methamphetamine abuse cause domestic violence! You really think you know your spouse. My husband is a 30 year retired naval officer. Disabled vet. Taking 8 pills at night to include Zoloft and Oxycodine. He started getting very verbally mean when he had pain. So you think PTSD is getting worse. A long story short. We retired in the country. He met someone who got him started on pot for pain. I looked the other way. Big mistake. He just got meaner and meaner with the verbal abuse. Under my nose I just thought Potsdam again. Next thing I know, he is feeling younger. Staying up later. Everything is my fault no matter what. Threats of physical violence. He never touched me before. Well I found out it was meth! 3 weeks ago he went off on me. First tried to break my neck. Then shoot me! He was always there for me, so I took it. Wrong! I had him arrested. He is facing 4 felonies. I got his pills for him when he was arrested. At the jail when they went to give them to him, meth was inside. Really I was nothing to him any more. Lies on lies. I do not know this person. I now have an alarm. A restraint order. I sleep in fear with lights on at night. I have anxiety attacks. No, it wasn't PTSD. Meth! I'm divorcing a meth freak. The bruises may be gone. But not my memory. Each day brings new drama. I have had to block calls. He even text me last week. I turned him in. There is more, but I legally have to wait to speak. I will not look back. Ever. My youngest son supports him. Terrible not to trust your child. You never know what goes on under your nose. I would be dead if someone had not come over. Domestic violence is wrong. Should never happen. Drugs just made it worse. I'm not afraid of him now. Without meth he is in pain again. It's the friends he has that do meth. There is more but it's just extra added baggage on it. I was lucky. Please walk away.